I am very sorry to have to report the death of actress Jan Peterson, who died March 24 in Newburyport, Mass. Jan was active in several Orlando-area community theaters in the 1990s — the old Civic Theatre of Central Florida, the Osceola Center for the Arts — but it was at Theatre Downtown that she seemed to thrive. 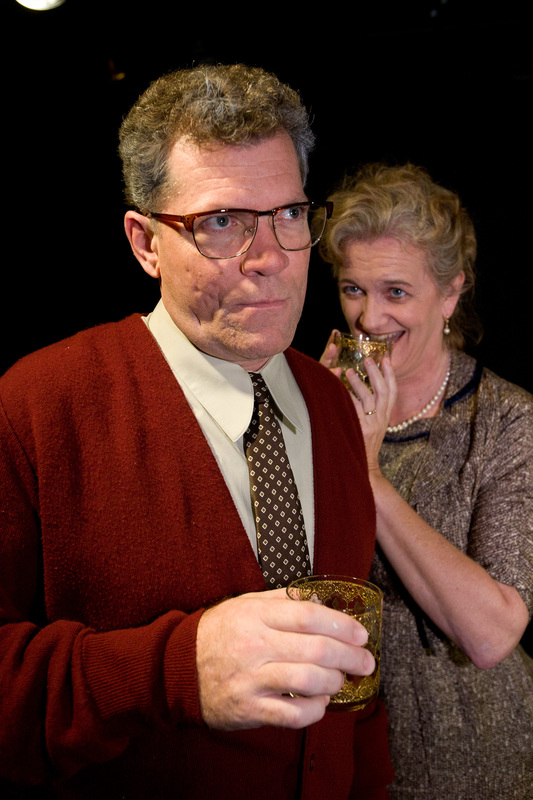 Mad Cow Theatre is offering $20 tickets for the remaining four performances of Who’s Afraid of Virginia Woolf? — at 7:30 p.m. Thursday-Saturday Feb. 24-26 and 2:30 p.m. Sunday Feb. 27. Tagged Edward Albee, mad cow theatre, Orlando, theater, Virginia Woolf, who's afraid of virginia woolf? Classic American theater has furnished no shortage of dramas about families whose wounds have become their lives. Tennessee Williams gave us The Glass Menagerie. Eugene O’Neill gave us Long Day’s Journey Into Night. And Edward Albee gave us just about everything he has written, but foremost among them Who’s Afraid of Virginia Woolf?, a play about a marriage that destroys everything in its path. Tagged Edward Albee, George and Martha, mad cow theatre, who's afraid of virginia woolf?